2019 - onwards - bad years for Celis in AX? Autocross & Road Race Forum If It Deals With Autocross, Post It Here. Greetings and Happy 2019 to you all! Gents, is it me, or has the Celi been totally regulated out of being competitive in any 2019 AX class? Since the classifications are still meant, I guess, to be based on HP / weight, at least, and the Celi was never a slouch at corners, why is it that it seems to have disappeared from the trophies in almost every event? I started out around ten years ago in Miata Stock class (now Street) until I knew what I was going and then switched over to the then F Mod (FV, F500) and had a blast. Then times changed, I stopped AXing and had other things occupy what little spare time I had. True? Or is it just that an older car nowadays counts for nothing, unless it's a Vette, M3, Porsche or Miata? Club / local level I get, and so that's why I'd still be going for a GT or GTS, just as a DD in town and to get the drivers back up to speed, but then after that? For the price of getting a GTS up to speed, I could get an F500 (or name another competitive vehicle), right? With trailer, probably. Is that's what's happening? Or am I reading this all wrong? I won't profess to be aware of current car classifications. But I do recall the GT was favored over the GT-S due to classing. The GT-S simply wasn't competitive in it's class. I won 1st once in my G Stock GT-S, and that was due to the more wide-open nature of the course design - that one time. I would also guess that it's going to be easier to get a GT in good shape than a GT-S. Certainly, the common issues with a GT-S will be a bit pricier to fix. But what class are both cars in now and what cars have been winning those classes? The out-and-out race car spec'd Modified (M) Class is no-holds-barred, anything-goes. Unmolested Celica GT and GTS are now in G Street Class. Next up, all the N/A Celicas are in the STS Street Touring Sport category. all Celicas 00-05 including All-Trac are in the DSP D Street Prepared. No more cars in Celica's league in any of the Modified classes in 2018. Last edited by ChrisRL; 01-16-2019 at 01:33 PM.. I believe that Andy Thomas has been doing that in a GT for a long time. Certainly shows the car can be competitive. I would do a lot of homework on the best stock-legal wheel and tire setup for the car. But do you want to keep the car stock? As far as the other Classes go, they've been in transition with a lot of arguing for quite a while. Are you worried about outside your own Region? What's chewing up your preferred class locally? Oh, and there was no 7th-gen All-Trac. Just doing my research before jumping in. Maybe stock for street class, but it's hard to find those around much these days - most of the GT's I've seen around town for sale have been molested, some heavily. Not that that's a bad thing, I quite like some of the mods I've seen, but since simply having a fuel pressure regulator fitted, for instance, "lifts" the car out of Street, it's quite the trick to make sure a car that's newly bought is actually stock and still eligible for GS these days. And yes, noted, there was no 7th gen All-track - that was a 5th gen (ST185). Regionally? Ford Focus ST, Sandwich, Mazda MX3, Civic Si in GS and 90-97 Miatas in STS in Los Angeles, pretty much the same in San Diego. Divisionally, there's no SoPac, so the next up for us is National Tour. SouthWest Divisional is mainly Mazdas, maybe the occasional Civic or an MR2 in there. National Tours: Focus ST, VW GTi in GS, CRX Si and Miatas in STS. When I did this seriously before, I started off with a Miata, and then moved to a FV, then a Solo Vee in FM class. Was thinking about a FF1600 in C Mod (which to my mind still is the most stable class over the decades) and then life changed and I left. Coming back in many years later, I'm not so sure I want to drive a GTi or a Civic or a Focus, and a Miata pr an MR2's too small for me as a DD these days. So what do I want to drive? Well, a 7th Gen GT or GTS, really. Yes, I've been looking through the jumbo-sized GS thread here about how to set the GT up, etc. - phew, it ran from March 2012 to Sept 2015! Last edited by ChrisRL; 01-18-2019 at 12:47 AM.. I wouldn't have traded my GT-S for the GT (still wouldn't) and was OK with not having the top, competitive car in my class. At the time it ran against boosted AWD cars. I had a car I absolutely loved to drive. Autocross was where I could cut loose and learn more about the dynamics of the car, and the nut behind the wheel. Learning to drive is learning to drive. If you want the GT, I'd find one I want to work with and get her in shape for whichever class and not look back! I'll answer your first question. 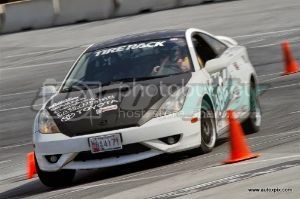 On a national level the celica is no longer competitive in g street against the newer hot hatches on a national level. Keep reading though. After we won in 2013, we made a good run at things in g street in 2014 with a new to us gts and up against some amazing drivers my codriver ended up fourth. Laura won g street ladies in 14 and 15 in her gt. After 2 good years in a c5 vette in bstreet I left autocross(minus solo nats) and the street advisory committee at the end of 2016 to concentrate on rallycross. I now help run the dc region rallycross program and have been Eastern states champ 2 of the last 3 years and podiumed in 2016 and should have won in 2017 at rallycross nationals. This was in my 03 gt and 00 gts. This past year was an oddball. I was asked by my cousin Ryan to join him campaigning his 03 gts. He's raced on and off for the last 5 years but rarely goes outside of DC. I pieced together all my old parts, threw on some fresh tires and ran it at Charlotte, Pittsburgh and solo nationals. I coned away second place in Charlotte and we both made and then got knocked out of challenge rounds on day 2. Pitt race was some of the worst condtions I've ever raced in(snow, rain 30s) and we showed up without wet tires &#x1f611;. Solo nats we lucked into favorable conditions for me(monsoon rain) and I was 4th after day 1. Day 2 wasnt a great celica course, I could have driven better but only dropping to 9th I was pretty happy with the outcome. Long story short, Ryan won the local g street championship with most events having 10+drivers. His car is far from the right choice for setting up a celica. He has a 03 action pack with every option available. It's difficult to drive with the leather and sunroof and heavy for a celica. We weighed with a full tank at 2540. Race weight was probably closer to 2480. My winning gt was 2370 with a full tank. I'm gonna run my gts locally this year with a little different setup from what I used to run. I'll see how it holds up to our setup on Ryan's car. The celica is still my favourite dual purpose car. My gts has 285k on it and still feels plenty powerful. The gt is still a good choice but the gearing was annoying on most autocross courses. On the short tires it'll only do 54-55 mph. The gts at 8300 will do 59-60. The lack of low end only hurts you some in real slow digs. I've rambled enough. If you have questions I'll try to check back here soon. 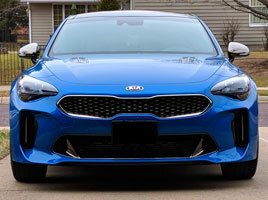 If national competition is in your future you can have some fun against the civic, gti and foci but the low end and diffs of the new cars are hard to beat. Many thanks for your comments - yes, in the beginning it is all about learning how to drive the car. For me, the last time I was in the National Tour it was awhile ago now, almost 10 years? I was in a 70's Zink Solo Vee in the old F Mod class, Hoosier slicks all round and having a great time. Now a little older, I think that more wheel time is necessary before thinking about that again, but starting afresh and looking through the rule books and results from 2018, from what I've seen the most protected of the classes is still C Mod, where Formula Fords are still running and an 84 Reynard (my personal fave) is still competitive. That's where I'd go these days if I were to campaign something serious in class. In PAX though, that's something else. However, many thanks again for your insight and advice - I think a GT or a GTS is in my future, even if it's a DD and a coaching car. I noticed that Bondurant used the GTSs as his coaching cars for awhile. Can't be too shabby, right? So good that you're still GT and GTS'ing away. Yes, I'm very familiar with the way races can go, should do, might go, did go. All very different things, which is why it's all so very fascinating to me! Thanks also for your behind-the-wheel insight as to your last year's campaign - most interesting grist for the mill! My biggest take-home from your comments thus far is the point I was hanging up on most of all: corner exit torque. I was so into that in my Solo Vee that I had the gearbox set up so that 1st practically ripped the tires off at 1200r's and top speed at 3800 was between 55 in 3rd and 60 in 4th - basically one gear for the twisties, and another, almost exactly the same - but not - for the straighter courses. Awesome combination for me! But that was then, and this is now! My son's driving a 5-speed Accord DX with a VTEC in it, but hasn't driven a solo event yet, so he probably won't be concerned with weights and balances for awhile yet. Me, I think I'd putter around GS for awhile, get to know the car as is for a season or two, and content myself with upping my average performance until I can represent the Celi gang properly in SoCal/SoPac, and contenting myself with lying in wait for the occasional "race condition" showing - essentially a combination of my doing things right and the others, not so much. Which, at the regional level at least, happens a lot more often than one would think. Best path to Celi goodness? GT? or GTS? since you have both, I'm assuming you use the one best suited to the task at hand. Which one for regular Solo2, SoCal style? (Winter and early mornings frosty, then the sun comes out and everything seems to heat up (mid 70's), but the racing surface is still cold (40s). Summer, it's as if someone just left the heater on. Nights maybe high 60's-low 80's, days can get to 110). And yes, I've read through that entire GS thread a couple times now, and plan on reading through it a bunch more times, so no need to repeat yourself, I'll pick up on all of it, sooner or later. Might ask about updates on Hotchkiss replacements, since the Celica seems to have disappeared from its current lineup. Thinking about a Sports rear bar, not a Comp one yet. Also might ask about suspension, but all that's for another post. This is quite enough, for now! Congratulations, Andy and continued success! Many of us appreciate your contributions here and look forward to more in the future! The car I autocross now is my gts. For the newer style, big, fast courses it's the only option that won't frustrate you. The gt will constantly be on limiter in 2nd or lugging in 3rd. Sometimes multiple times in a run. The gts can do the majority of courses in 2nd with a kiss of rev limiter and sometimes will require a shift up to third. As long as you arent in a 2002 or 2005 that limited revs you'll be able to do 59-60 on a 205-245 15" tire. Depending on temps I run either a 225/45/15 or 245/40/15 Bfg rival up front with 205s out back. This combo would be a lot of fun at crows landing but still wouldn't feel bad on a smaller lot. One of my favorite spots to autocross is a small baseball stadium lot with speeds under 45 and I'm rarely in lift and the car still feels quick. Now the bad news. The gts you'll want is damn near impossible to find. I've found 2 in 6 years, both by luck. My gts is a early production 2000 with no sunroof and cloth seats. Only option was the 16" wheels. I found one identical to mine a few months ago and a close friend bought it immediately to build into a rallycross car. The problem with sunroof cars is headroom. I'm 5' 8" and in a sunroof car my helmet has to go into the sunroof opening to fit. My cousin has to recline the seat pretty far to clear the roof. In the non sunroof cars you'll have a few more inches to play with. So if you can't find a non sunroof gts, the next best solution that can be found much easier is a 2003-2005 gt without a sunroof. You'll get the updated 1zz and kouki facelift. Feel free to try sunroof cars but bring a helmet with you to make sure you'll fit. Parts availibilty: You can still get the much needed dot 3 crash bolts. Light wheels are hard to find and aren't super necessary( we won a championship using stock gt alloys). Ryan has my old xxr forged wheels (10 lbs), I have an old set of rotas(10-11 lbs). We used the st brand rear sway bar on Ryan's car and it works fine. I have my old hotchkis comp bar but can't tell a huge difference between cars. The rear bar helps keep the front down and gives you the ability to turn the car with lift throttle or a dab of the brake. It's a beautiful thing. I have been using kyb agxs on my celica and they work great. Ryan has my old revalved konis which are still good as well. You can still get front inserts but the rear shocks are unavailable unless you can find used or old stock. The shocks are crucial to speeding up your transitions. You can save some weight with exhaust mods. We saved a few pounds on Ryan's car by eliminating the center resonator and terminating into a trd muffler. Easily came in under sound all year. I ran a muffler delete pipe and kept the center stock resonator on mine and the max db was around 90. Alignment 2.8-3 degrees negative front 1.5-2 rear with 1/16-1/8 out in front and an 1/8th in, in the rear. Only other thing we played with was brake pads. Ryan's car has abs and I hate it. The car lifts wheels so often it goes into ice mode all the time. Most of the year when I remembered, I pulled the fuse and ran without it. We ran stoptech sport pads for a little pedal feel increase but stock Toyota pads work fine. Too aggressive of a compound will cause some serious brake lockup. We split the year running bfg rivals for some events and running nexen sur4g locally. I like the 225/45/15 size because it seems like anything less up front will overheat after a run and a half. For the really hot days I ran the bfg 245s up front and 205s in the back. You can get 80-100 runs out of a pair of fronts pretty easily(concrete may speed this up) our rears still look new after 100+ runs. Nail on the head, Andy, exactly the words I was looking for. Will report in with success! Give 'em hell, Andy! Good luck, Chris! you were right, Andy, not easy to find. That said, I'll keep posting on a semi-regular basis, progress or not. I can't believe I'm the only new-to-me person out here who's still thinking of autocrossing a Celica. Last edited by ChrisRL; 02-08-2019 at 02:47 AM..
Don't shy away from the higher mileage examples. I bought my gts for 3k with 245k on it and it now has 286k and stills gets beat on. My gt was a one owner car with 80k on it and I paid a premium for it. You will find a lot of examples that have been modified but around here I also see alot of higher mileage but great condition commuter cars. I'd rather have a car that has higher mileage than one that has been modified. Maintenance is cheap and both engines are durable. Thanks Andy - just emailed you! That one appears to be a non sunroof gts. It even has the unique cloth gts blue and grey interior like mine. It has some unique upgrades like a 2003+ front end conversion and hatch trim piece. You could sell the spoiler and front lip for good &#x1f4b0; the price seems reasonable for the mileage but I'd try to get some pics of the underside to look for overspray or signs of an accident. The body conversion is pretty common in the celica community so chances are this was owned at some point by somebody with a basic knowledge of 7th gen celicas. Good luck with the hunting. Great, thanks, Andy - will do! Got to this a little too late (posting expired) but the black one still looks good. Seen maybe a dozen cars since we last posted, all here on the Left Coast. Maybe I'll take a longer trip back east and check around there too. EVERYTHING ELSE NOT MENTIONED is either NOT ALLOWED or puts you into the general crazy car catch-all EP class. E&OE - i.e. I hope I got that all correct! If you're in STREET, you're basically up against Civic Si's, VW GTis, Ford Focus. In EP pretty much all 90's Honda Civics. Well following my search for the ever-elusive Unicorn Celica, I have to let you know that I've missed three thus far. The second was an 02 GTS (I know, rev limiter) with leather and sunroof delete - and a cracked head. Asking $2300, but far away (in NV), so I let that one pass by. It should end up a drift car somewhere and maybe come around again. The third I just missed, an 05 GTS but someone deleted the sunroof, and it's not stock, so it won't make STREET class. They were also asking over $5k for it. I'm not counting the one Andy posted in this thread 'cos by the time I saw it (thanks, Instant email Notification) the ad was expired. You won't believe how many GT-S wannabe cars there are around here. They all are regular GTs with the wings, lips, body work off GT-Ss. I even saw one that had a VVTLi label on its 1ZZ head cover. Couldn't believe it. There are a lot out there. It's sorting through the haystack for the needle that's the issue. Good luck! Found another, it's a '05 though. Thus means it's DBW, correct? And that means what, exactly? Better or worse for autocross? More responsive to throttle pedal inputs of course, but what else? I'm not going turbo / EP anytime soon so ECU monkeying around isn't on my horizon for now. Searching through old posts about that now, just to inform myself, although now I have two to choose from I think I prefer the 00 one that's also available, as the '05 is asking more than I'm prepared to spring for in a stock street track car for the moment. Last edited by ChrisRL; 04-09-2019 at 03:01 PM..